These threats to the fragile marine ecosystems on which small island developing nations like the Solomon Islands rely are threats to their socio-economic development and livelihood. The Pacific Ocean is the largest of the world’s oceans. It connects our sea of islands and connects us to the world. Sustainable ocean management must be a priority for small island developing states. 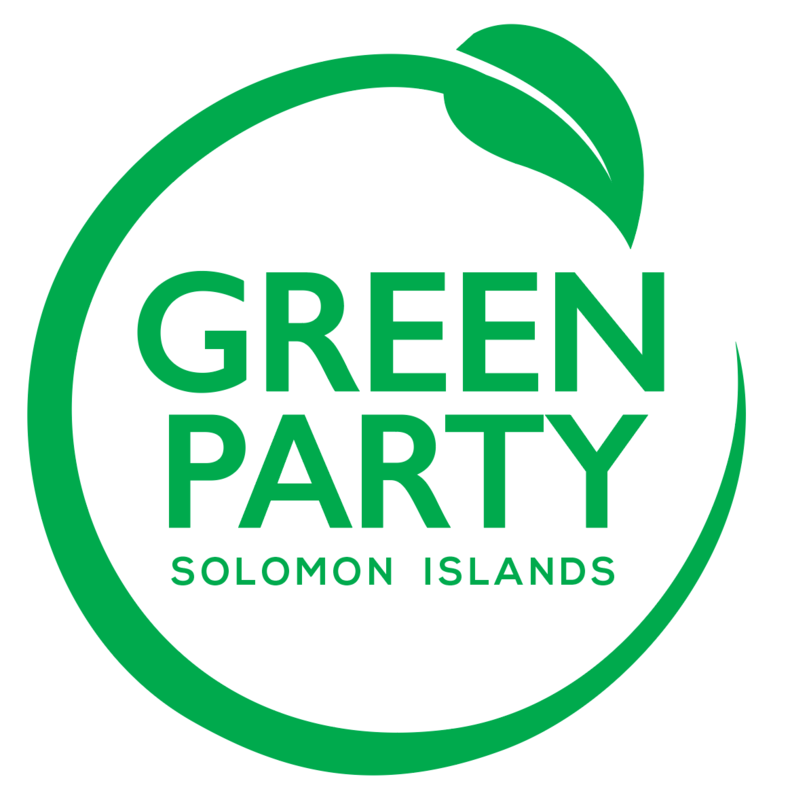 In the Solomon Islands the ocean plays a vital socio-economic role. As a member of the PNA which accounts for about 50% of the global purse seine skipjack tuna supply, we control the world’s largest sustainable tuna fishery. UN Sustainable Development Goal 14 gives Pacific Island countries like the Solomon Islands an opportunity to holistically address issues related to oceans through multi-sectoral partnerships and integrated approaches towards implementation of its targets. A stronger commitment from leaders is required to improve linkages between local, national, regional and international frameworks. Given the vital importance of the ocean for the socio-economic development of small island nations, the Pacific Islands declared 2017 the Pacific Year of the Ocean. This calls for more collaborative effort amongst all stakeholders — governments, private sector and civil society — of the Pacific Island countries and territories to focus on the health of the ocean and its impact on the health of our nations and people. Technology is a way forward, especially for small island nations where we do not have the resources to monitor, especially the issue of IUU (Illegal, Unreported and Unregulated) fishing. In terms of our purse seine fisheries, we have 100% coverage of reporting and monitoring. But it is longline fishing vessels where there is a constant problem for us. Just this week three so-called ‘blue boats’ from Vietnam were arrested in the Solomon Islands. They were doing illegal fishing within our region. We need a fisheries act that will enhance the monitoring and regulatory framework for these IUU fishing vessels. Japan as one of the big players in the tuna industry and marine resources has a lot to offer. In the context of Pacific small island nations, we are liaising with NGOs that want to work in partnership with the government of Japan to enhance research as well as fisheries management. A current example is electronic monitoring for long line fishing vessels for Palau and Marshall Islands, linking up and working in partnership with Japan. I stand as a daughter of the Pacific representing the beautiful archipelago of Fiji. The Pacific region is home to 14 countries and eight territories; 98% of the Pacific is ocean. The ocean provides Pacific people with food security, transport, economic development, employment and a sense of cultural identity. Pacific Islanders eat three to five times more fish than the global average and 47% of coastal households in the Pacific earn income from selling fish. For some Pacific Island nations, commercial fishing access fees contribute up to 60% of national revenue. The threats to oceans are prominent in the Pacific. Pollution, unsustainable fishing, tourism, development and climate change are evident from our shores. My country Fiji has placed great importance on addressing climate change, organising COP23 in Bonn Germany. We are also co-hosts, with Sweden, of the UN Ocean Conference in New York. Good governance is crucial to ensuring our oceans remain sustainable. Policies such as the Framework for a Pacific Oceanscape gives a regional plan with actions and initiatives for an area of approximately 30,000,000 km² of ocean and island ecosystems. It functions to protect, manage and sustain the cultural and natural integrity of the oceans for present and future generations and for the broader global community. It includes clear goals and activities within a framework to track progress and enhance accountability. The Framework builds on and strengthens the Pacific Islands regional oceans policy that promotes sustainable development, management and conservation of marine and coastal resources in the Pacific. The term sustainability in regards to oceans is ever more linked to sustainable fishing. The Pacific Islands Forum Fisheries Agency (FFA) established in 1979 comprises 70 member countries which manage, control and develop tuna fisheries. FFA has facilitated regional cooperation to ensure this multimillion dollar resource remains sustainable for many islanders’ livelihood in the Pacific. The Parties to the Nauru Agreement (PNA) control the world’s largest purse seine fishery; their focus is sustainably managing tuna. The PNA member countries agreed to a limited number of fishing days within the year and countries can sell within these allocated days to the highest bidder. In this way Pacific islanders reap economic benefits from the sustainable management of tuna. Finally, the Pacific Ocean Alliance (POA) was established in 2014 under the Framework for a Pacific Oceanscape to strengthen coordination and collaboration among stakeholders on cross-sectoral ocean issues. It is a network of private, public and civil society representatives acting together to advance integrated ocean management. The POA is facilitated by the Pacific Ocean Commissioner, Dame Meg Taylor, who also is Secretary General of the Pacific Islands Forum. These policies and agreements are part and parcel of what the Pacific has done to ensure that our oceans, our livelihoods, remain intact and present for future generations. Oceans are strongly influenced by climate change. Locally, nationally and regionally people are doing what they can to impart knowledge and initiate outreach on the challenges and heartbreak caused by this global crisis. I end with this touching poem written by a mother from the Marshall islands. Tell them what it’s like to see the entire ocean level with the land. Tell them we do not know the politics or the science but tell them we see what is in our own backyard. We never wanted to leave and that we are nothing without our islands. My country, Madagascar, is the fifth largest island in the world with a rich heritage of flora and fauna. The ocean plays a dominant role in our country so climate change is very important, maritime trade is intense and important, and we have a solid tourist sector. Our planet is being transformed by loss of biodiversity, climate change, melting glaciers, deforestation and contamination of all types. I call fervently for everybody to work together to save our planet while there is still time so future generations can find a place on it. For millions of years, the ocean has changed different aspects of our planet gradually or violently. The seas are a true source of life for humanity, providing an important part of the nutrition for the population. They occupy three-quarters of the Earth so it is natural that their preservation should be a priority for humankind. Yet many warning signals are sounding. Then there is waste. The oceans are large enough to absorb so much waste but now they are being pushed beyond their carrying capacity. We also have ozone and carbon emissions and their absorption by the oceans. The planet has large bodies of water which are the origin of all life and essential for life itself but they have only been given to us once and will never be given again. We are not directly responsible for the terrible threat that exists but there is great negligence. We have refused to accept or to apply serious legislation to halt pollution of our ecosystems and if we do not change that tendency, our children will accuse us, correctly, of sacrificing their needs. Future generations will pay the price of lack of action. There has to be a race to protect our planet. For tens of thousands of years, the seas have inspired people and made them think of a balance, a life balance. In December 2015, keeping climate change to less than 2°C was accepted at COP23 in Paris. If this is not achieved, there will be dramatic consequences. The 21st century has seen the 14 or 15 hottest years on record. In Australia, the world’s largest coral reef covering 350,000 km2 is threatened with extinction because of rising water temperatures. The warmer the water, the greater the volume and this is leading to the melting of Arctic glaciers and rising sea levels. In the Pacific the Marshall Islands and the Polynesian Islands are already threatened with rising seas. Cities like Miami, New York, Tokyo, Singapore, Amsterdam, Rotterdam and Venice could flood or even drown. In the face of these predictions the Bikini Atoll inhabitants have already claimed political asylum in the US. The oceans and seas directly impact on global warming. When water evaporates, steam helps accelerate warming, and therefore water evaporation. Oceans also play a role as a carbon sink and the role of absorption is becoming more and more important. Global warming also affects oxygen in the ocean. The warmer the water, the less oxygen it can hold which in turn affects biodiversity. We need action to restrict increasing water temperatures or there will be terrible consequences. We propose a court recognised by the international community to judge environmental crime and to pass exemplary sentences. Such crimes should be considered crimes against humanity. Illegal over-fishing has to end. We need serious sanctions to provide redress against environmental crimes. Certain areas have to be restricted to artisanal or small-scale fisheries so that they can provide sustainable livelihoods for the inhabitants. We have to create a network of environmental protectors with individual countries coming together at international level to protect their vital resources, including those that are vital for their nutrition, and also to protect their flora and fauna. Illegal trade in natural resources must stop. Illegal business lobbies are creating fear in our hearts. They are trying to impose their laws. But this is not inevitable. We have to fight back against them with the support of our governments. The Greens are ready to accept this challenge and work together with all goodwill to save the planet for the good of everybody and to protect future generations. Let us take all the steps necessary to protect our resources and ensure the planet’s survival.